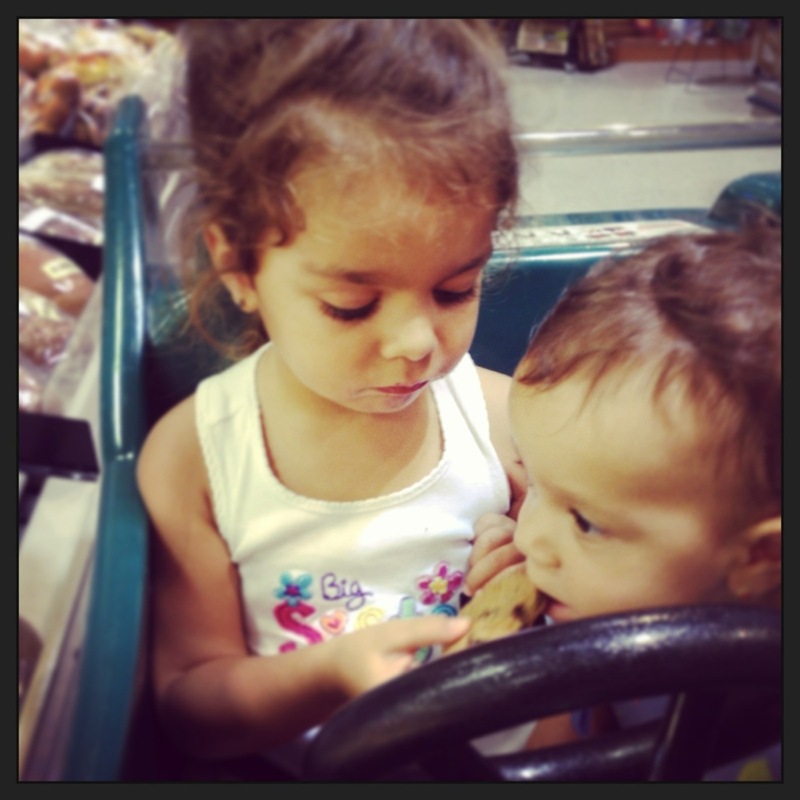 Gia sharing a cookie with baby sister! I absolutely love that Sprout is searching for a kind kid to be their “Chief Kindness Officer”! Teaching and fostering kindness in our children is so important and Sprout wants to share how our kids demonstrate acts of kindness. (For more info on the contest click here!) Now, more than ever before, I’m seeing how important it is to model the behavior and habits I hope my girls will one day take on as their own. Don’t get me wrong, I’m not trying to program them to be any certain way, I’m just trying to set a good example. I value kindness and thoughtfulness and if I don’t demonstrate those qualities then how can I expect them to? I think this contest is a great way for me to show Gia that there are so many different ways we can be kind everyday. I hope you will be inspired to talk to your little ones about kindness and share a picture as well. Who knows? You might win a trip to Sprout’s HQ and better yet, a charitable donation will be made in your childs’ name!